Product Consists : Bunch of 22 Pink Roses along with Cadbury Dairy Milk Chocolates (Weight : 20 Gms). 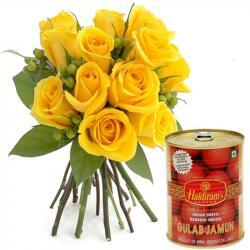 Surprise your sweetheart in a unique and thoughtful way on any special day with this gift hamper. An ideal way to tell your belovedd how much you love him, this hamper comprised of lovely bouquet of twenty two bright pink roses. Each bud of roses handpicks and extremely fresh. This bouquet conveys that your love is as special as these pink roses. 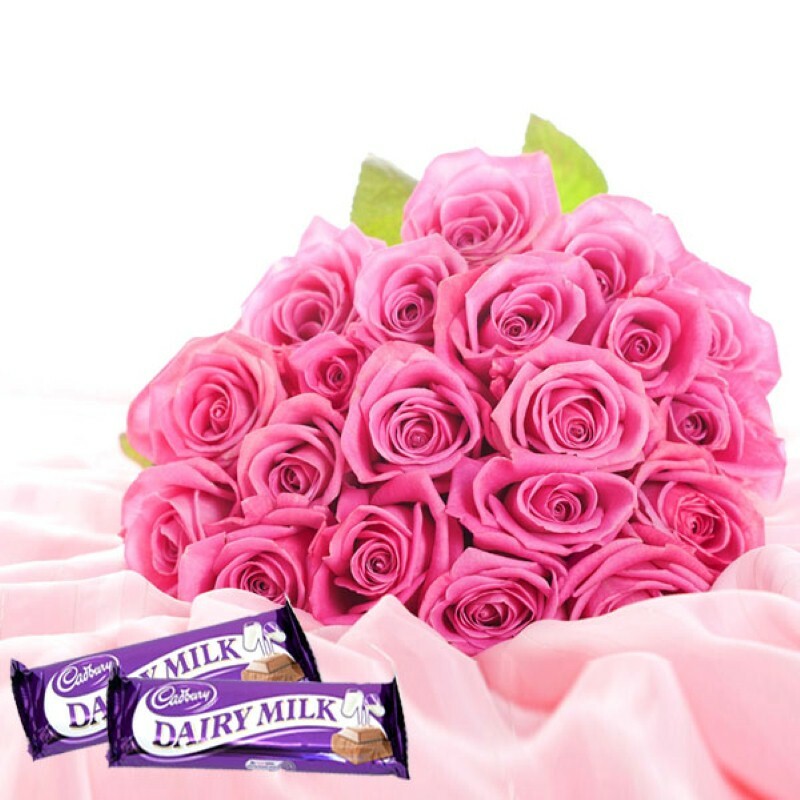 Delight your love one with Cadbury Dairy Milk Chocolates which is yummy in taste. 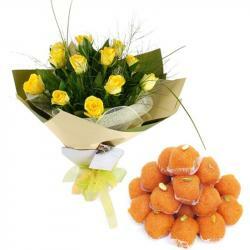 This special Love gift is the most precious on occasion of Valentines Day for couple. Gift this to love one and steal their heart completely. 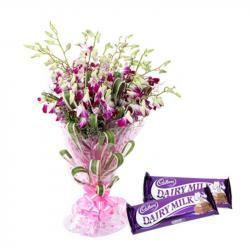 Product Includes : Bunch of 22 Pink Roses along with Cadbury Dairy Milk Chocolates (Weight: 20 Gms).